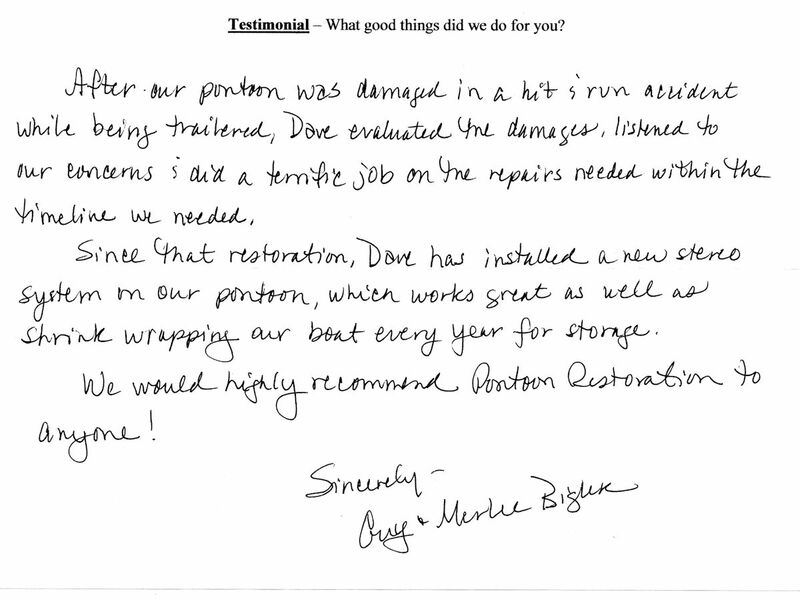 Happy Customer! 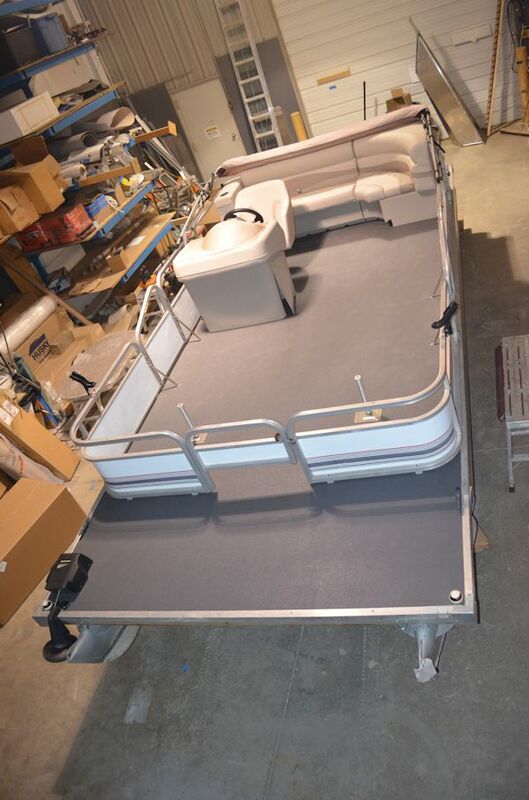 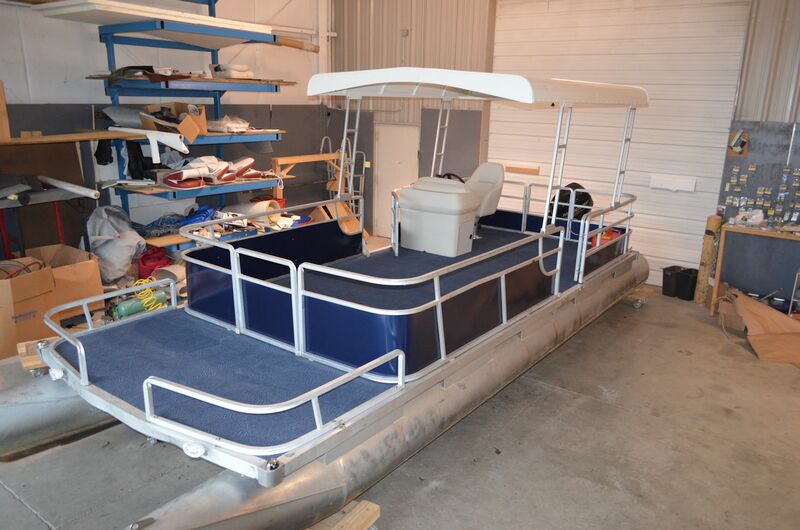 New Construction Pontoon Boat and Trailer! 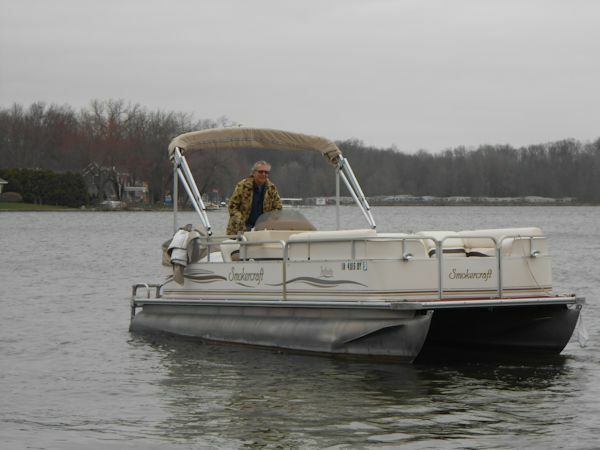 In 2014 I had major work done on my pontoon. 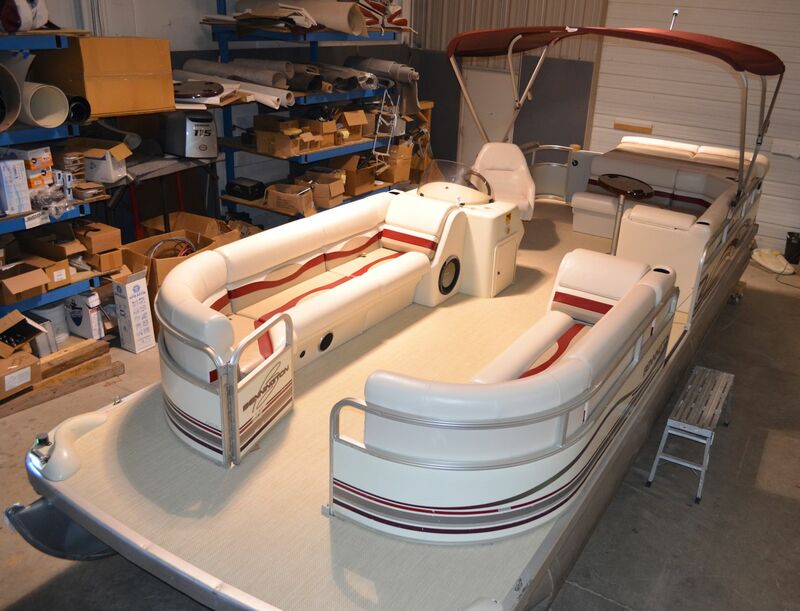 New Bimini top, new carpet, new upholstery for seats. 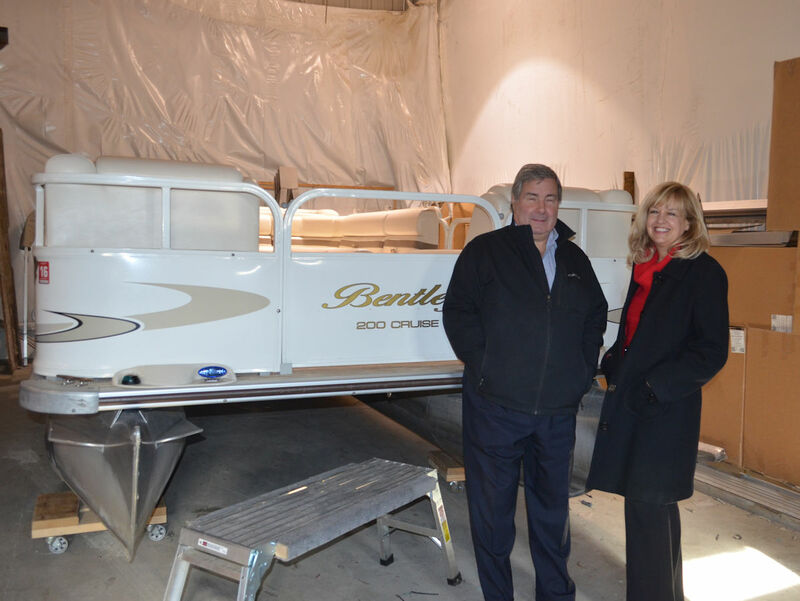 The first thing Dave did was to come to my home to look at the boat and discuss the project with my wife and I in the comfort of our living room. 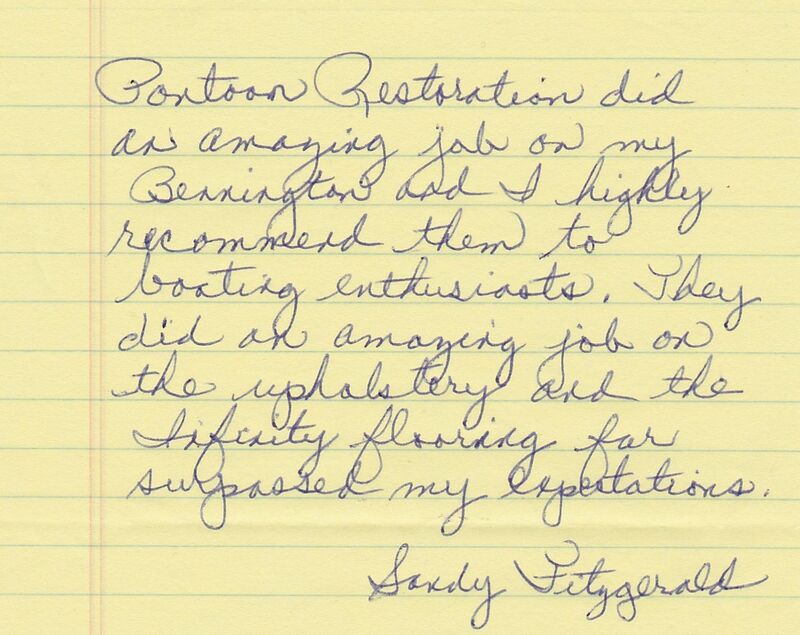 Now, who does that these days ?? 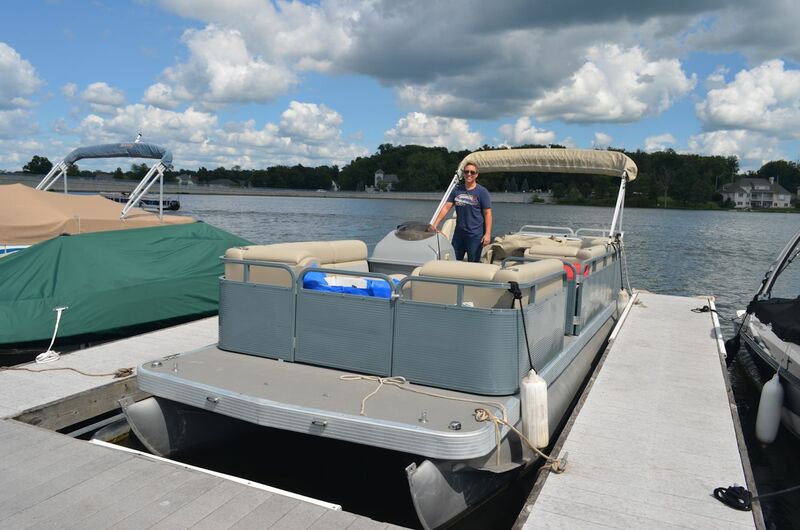 After completion, the Pontoon looked brand new again, BEAUTIFUL. 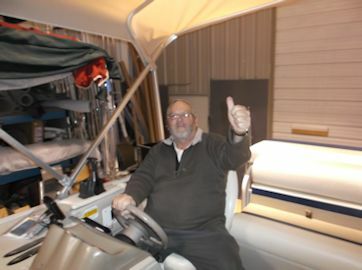 Dave is very easy to work with and it appears to be nothing he can't do. 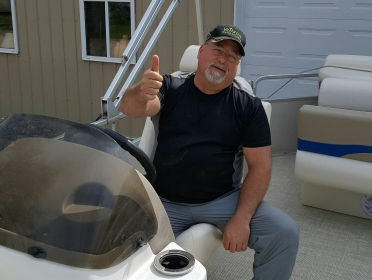 It is obvious his business is getting stronger each year. 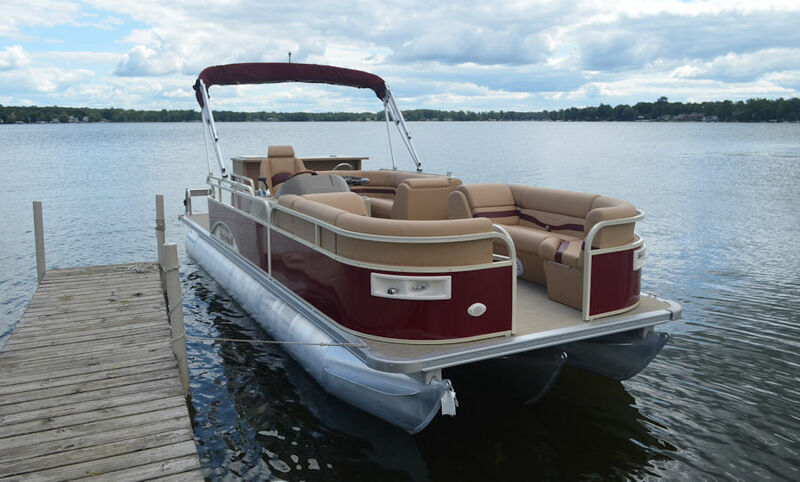 Would I recommend Pontoon Restoration? 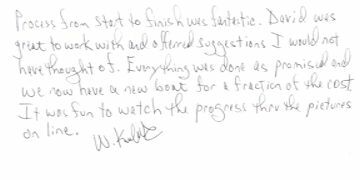 Absolutely!! 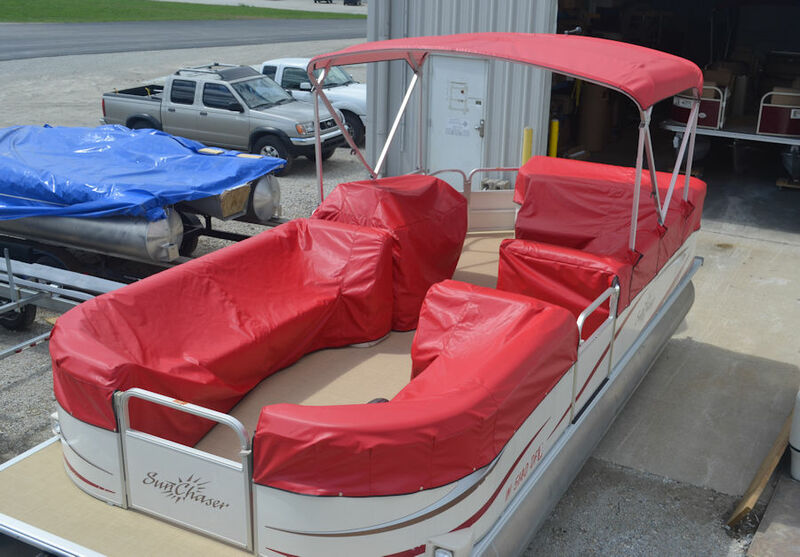 Price is right, customer service is outstanding and the work is done to your satisfaction, on time. 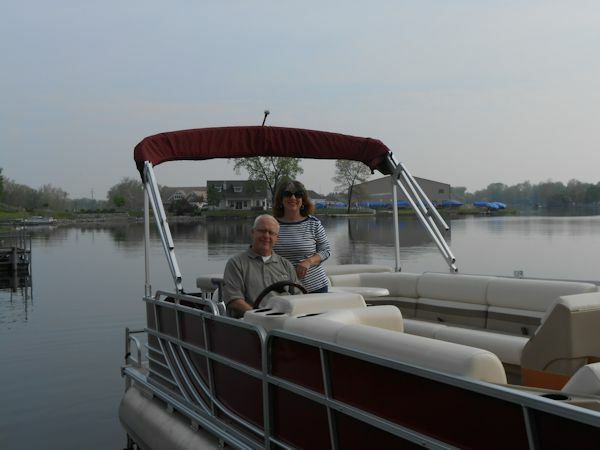 We have a 1970's 24ft Harris Floatboat pontoon that was giving us headaches. 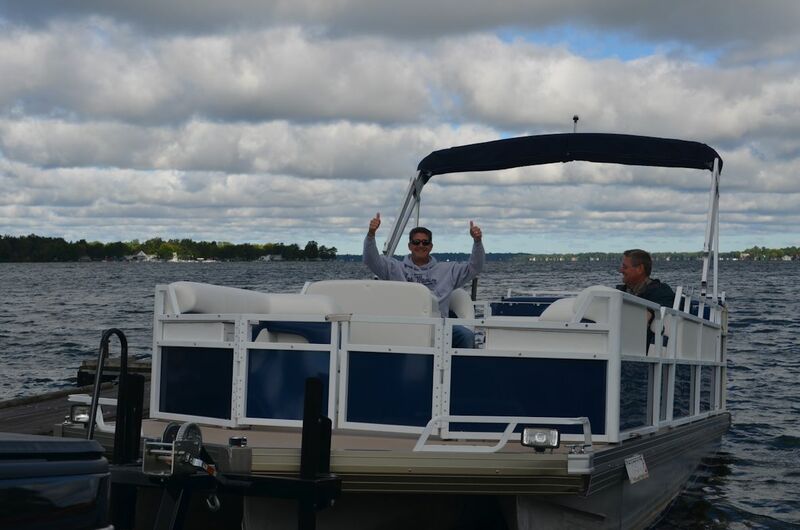 Seems every time we went out we were having engine problems. 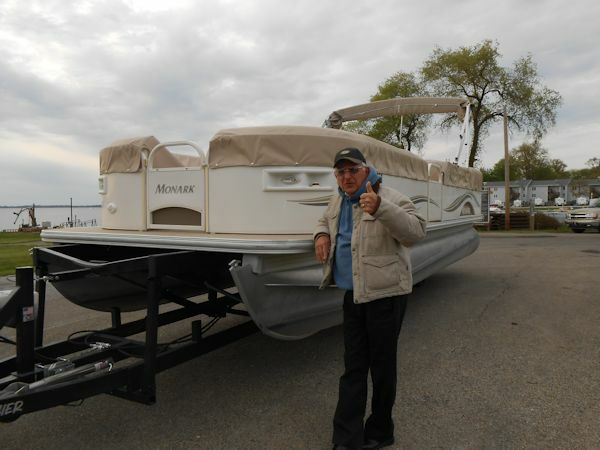 We went shopping for a new Pontoon and could not believe the prices for anything even close to the size we have we were looking at close to the $30.000 price range which was way out of our budget for a boat we only use at our summer home. 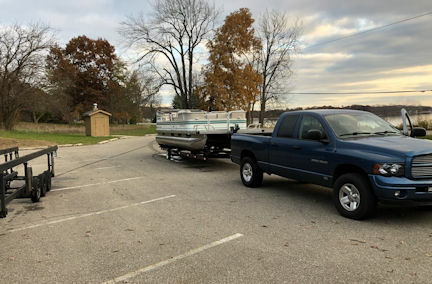 We decided to see if we can get our fixed up. 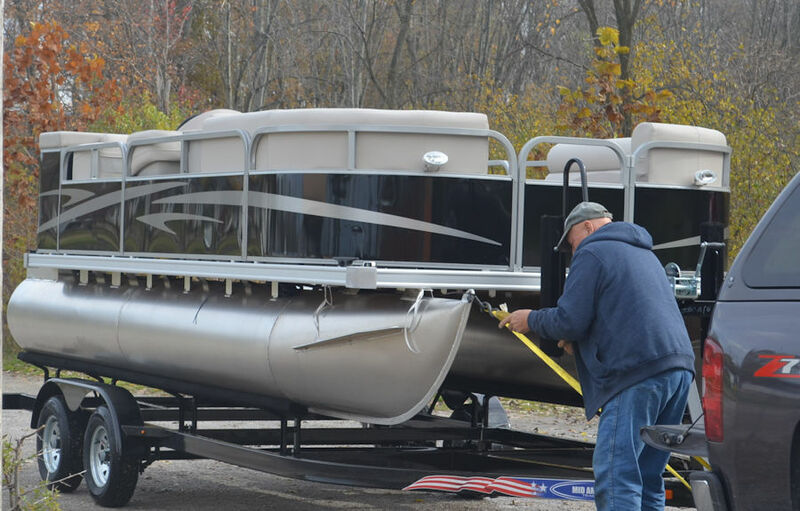 We called a number of companies that restore pontoon's only to be disappointed being told they can not get to it for a very long time and the prices were really out of line for what we wanted to do. 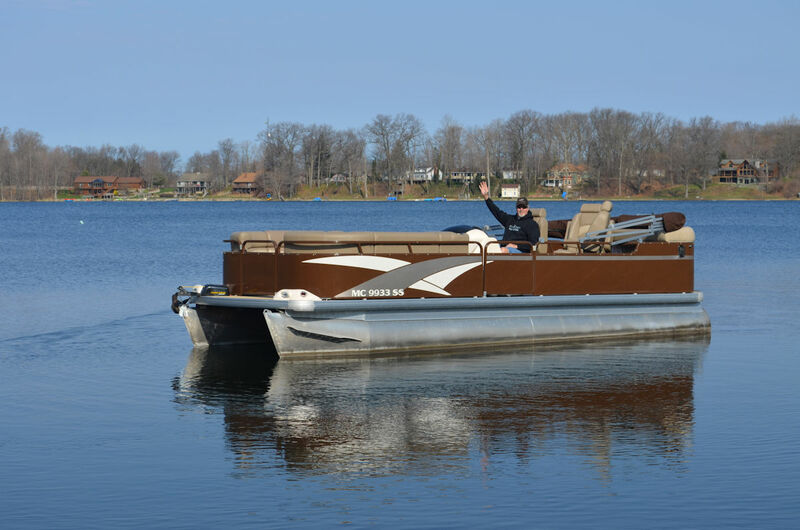 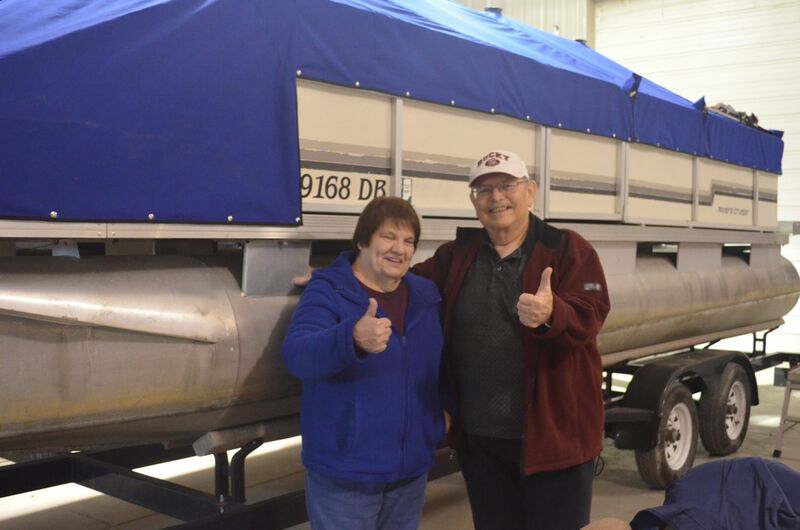 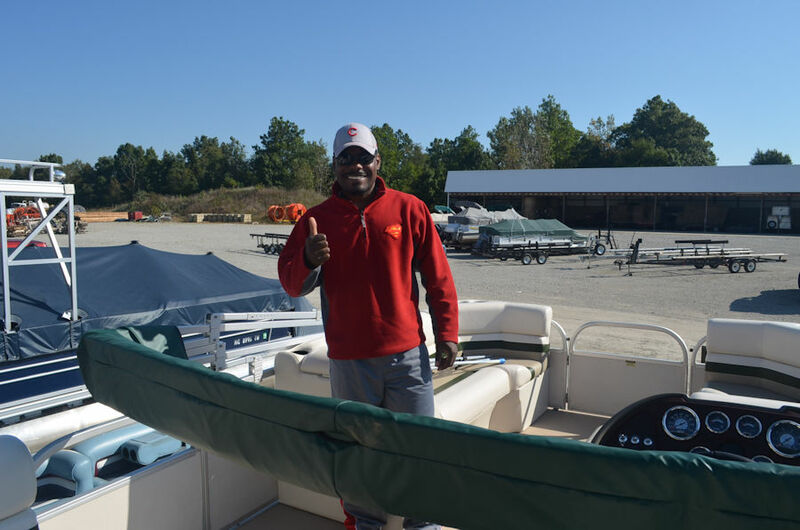 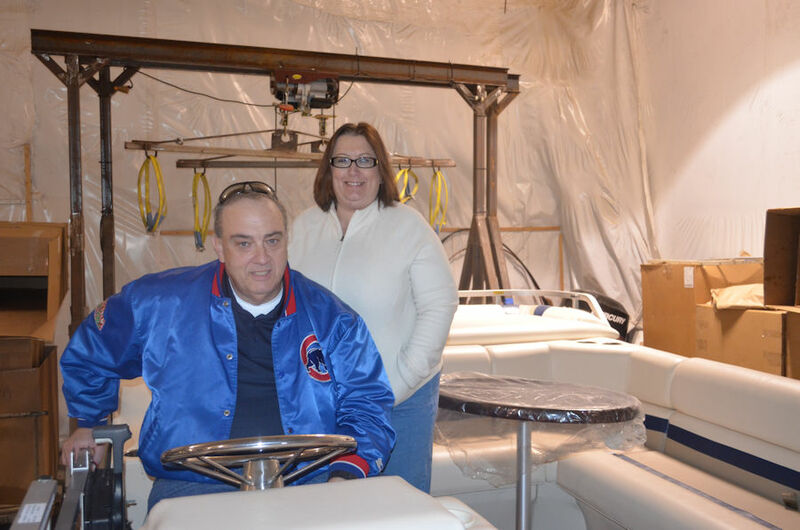 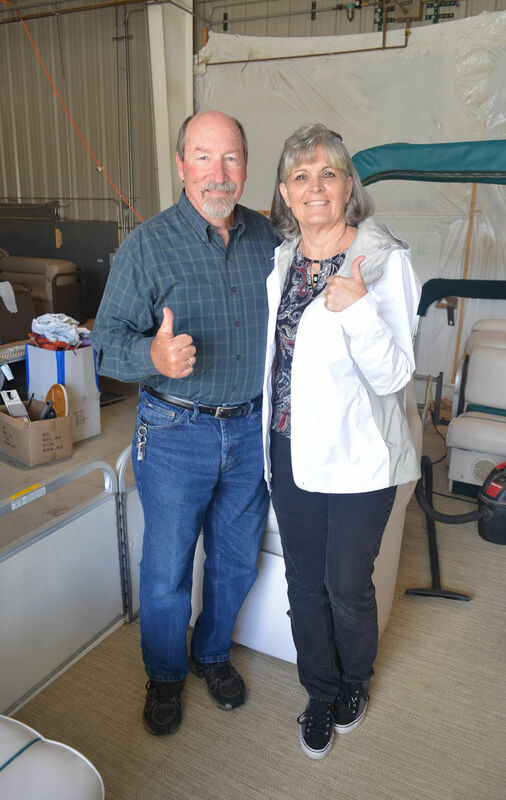 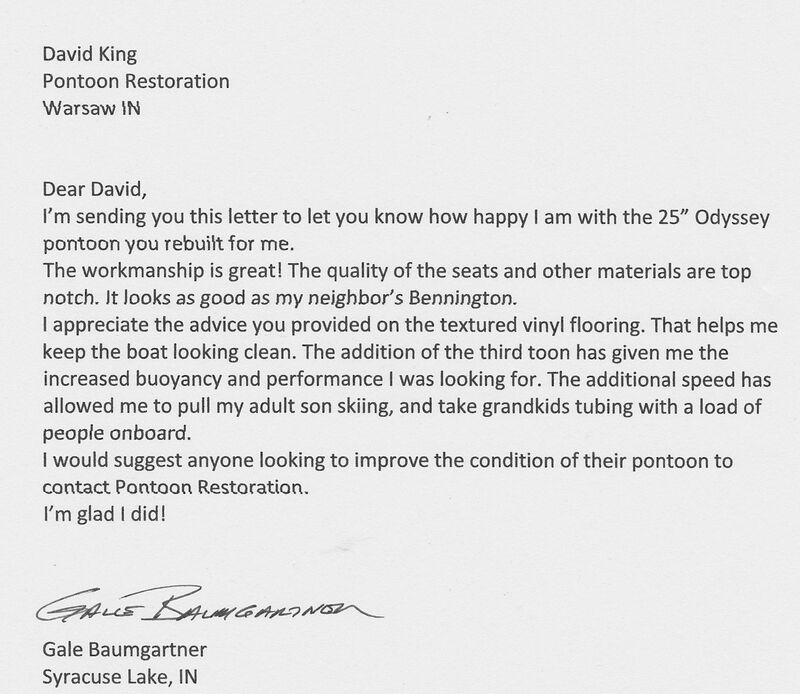 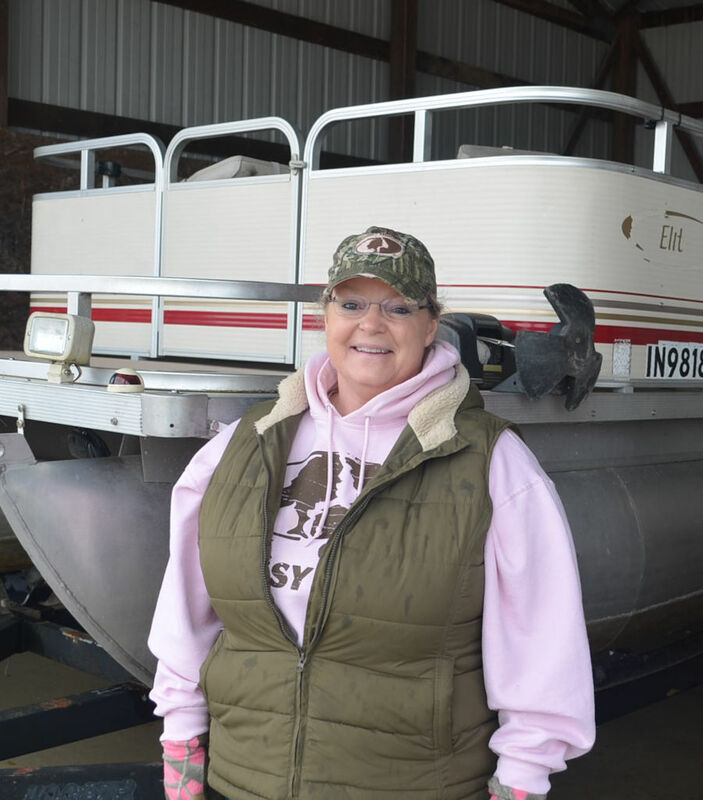 One last hope was Pontoon Restoration in Indiana, got a hold of Dave and are we glad we did. 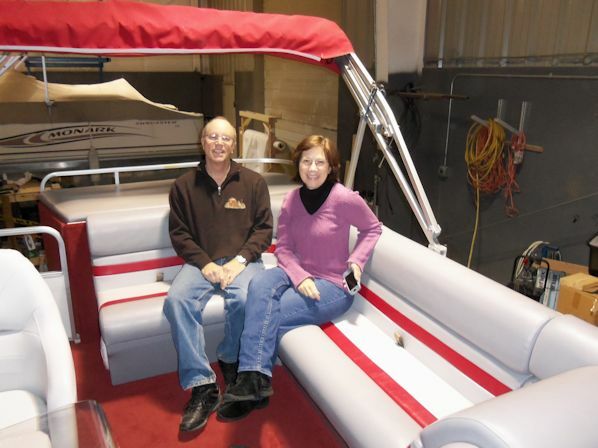 They not only did a fantastic job on our boat but within our time frame and budget. 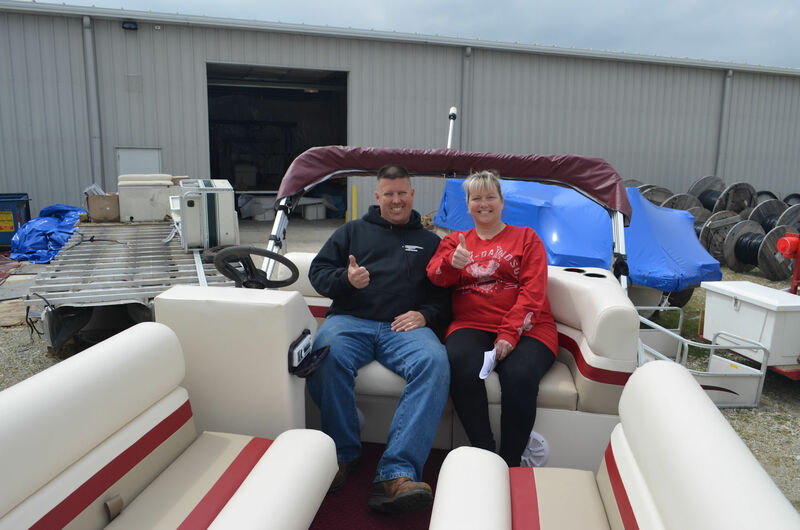 We have what is virtually a new Pontoon at a fraction of the cost for a new one, Mark put on a new motor, new flooring, carpeting, Captains seat and even found us a used hardtop that he power coated, it turned out simply gorgeous. 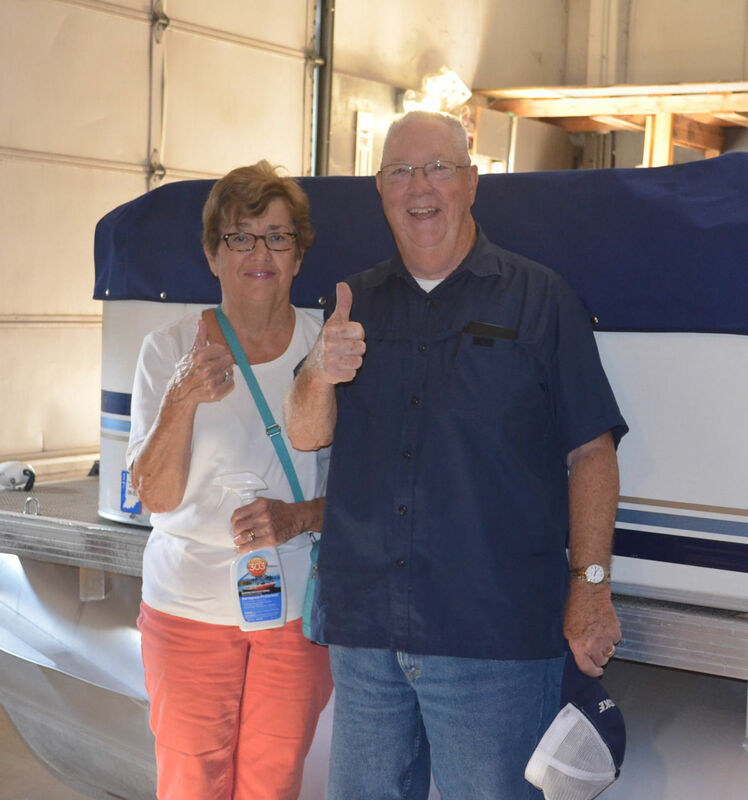 We could not believe it when he brought it back to us. 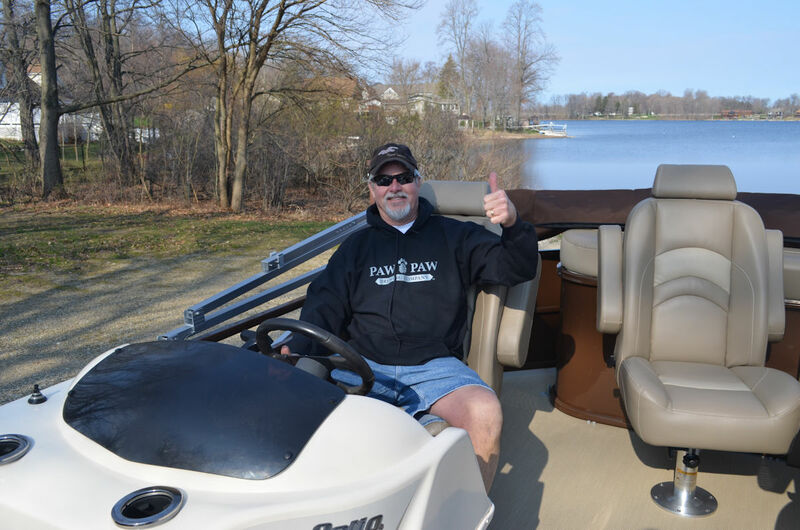 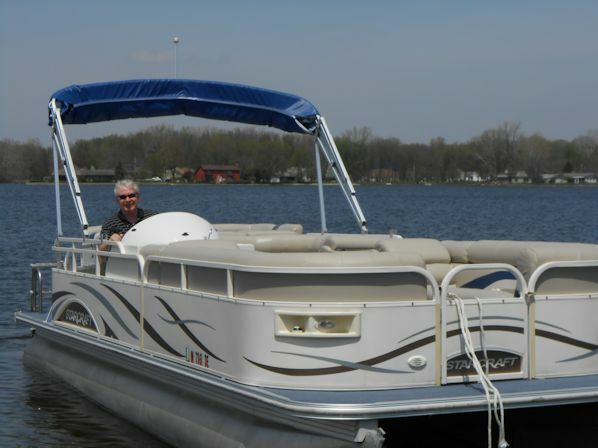 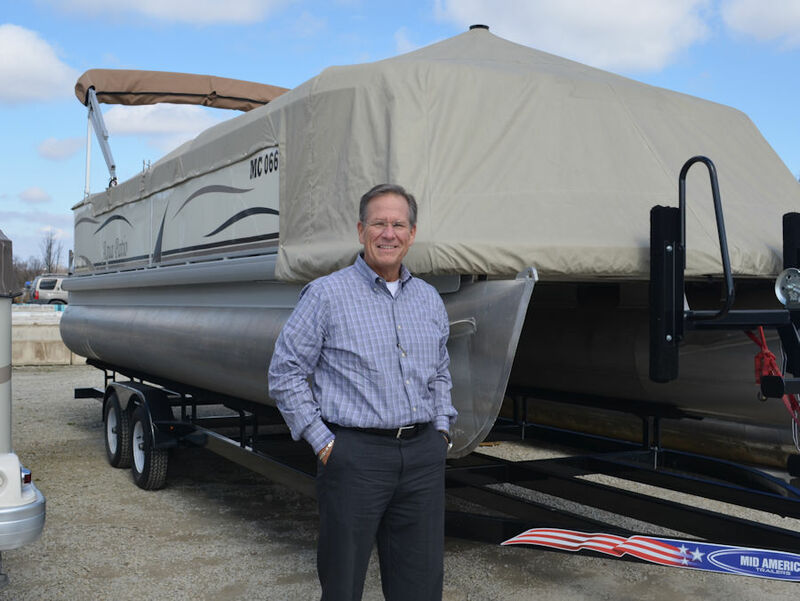 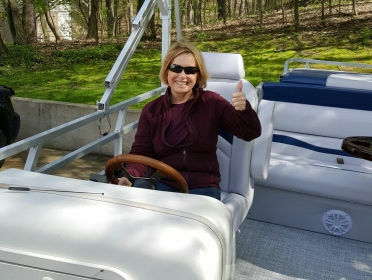 Pontoon Restoration is the complete package when it comes to Pontoon Boat restoration and Dave goes above and beyond to insure the customer is happy. 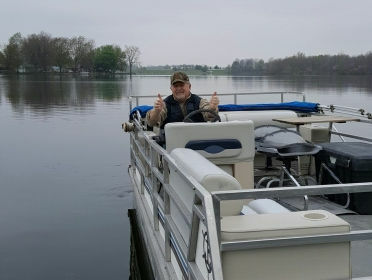 I wish we could have enjoyed the boat this summer but good to know thanks to Dave someone will. 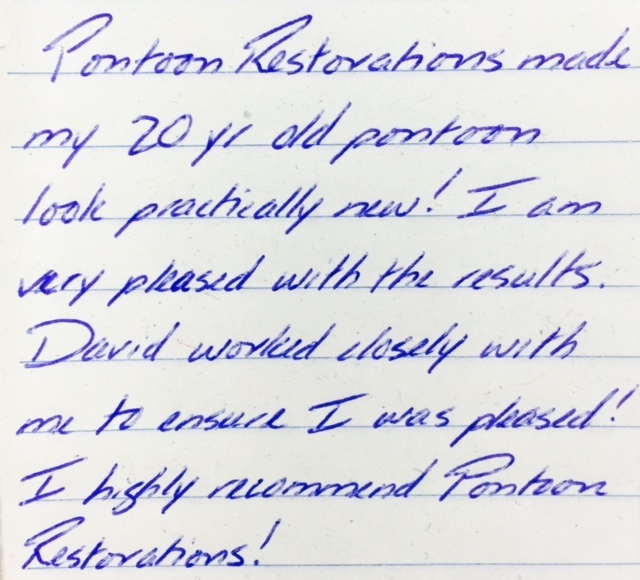 If you are looking for anything for your boat do yourself a favor and give Pontoon Restoration a call, as I was you will be glad you did.